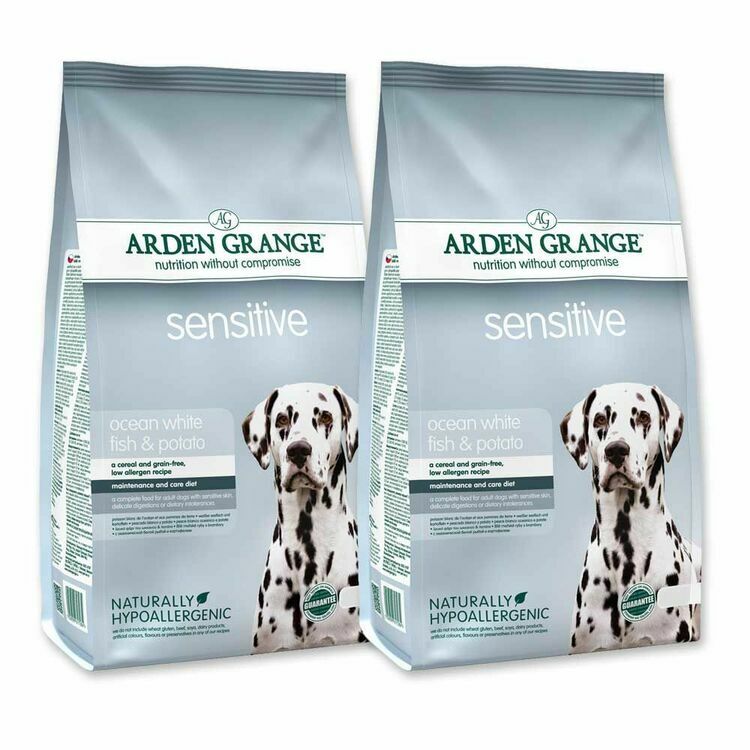 A nutritionally complete meal for adult dogs with irritable skin, easily-agitated digestive systems or dietary intolerances, Arden Grange Sensitive has been made using a delicious cereal and grain-free, low allergen dog food recipe! 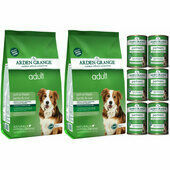 Now available in a convenient bundle, this economic multybuy pack offers more food for less. 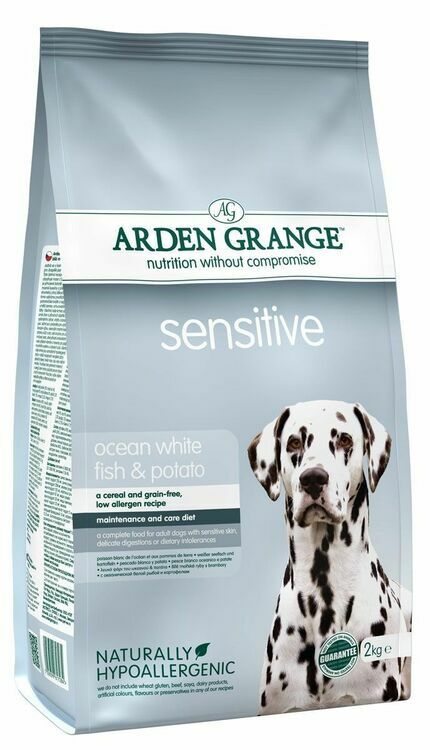 Arden Grange Sensitive Ocean White Fish & Potato is ideally suited to adult dogs with easily upset tummies or skin that becomes irritated on a regular basis. 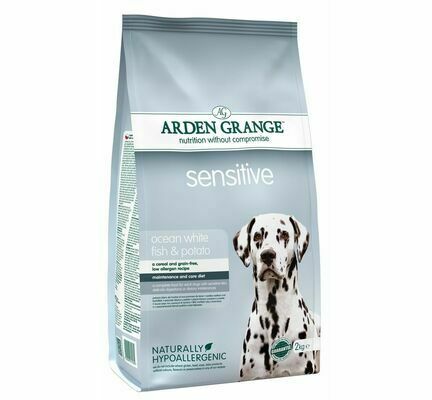 This is because the Ocean White Fish used to make it provides a potent source of protein that is easily metabolised and allows the body to function efficiently without any trouble. 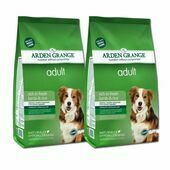 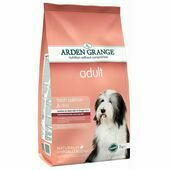 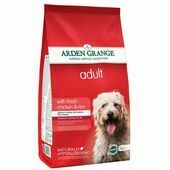 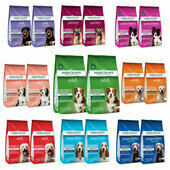 100% free from grains, cereals, and wheat-gluten, Arden Grange Sensitive dog food provides all breeds of dog with a hypoallergenic, wholesome diet that is full of natural goodness and contains no artificial colours, flavours or preservatives. 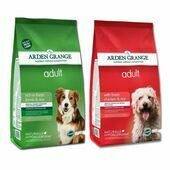 One of the best foods we have tried for our dogs with very sensitive stomachs. 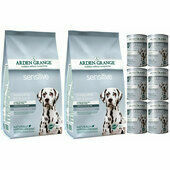 Delivered within two days of ordering and no postage and a lot cheaper than if we had gone out to a local supplier!! 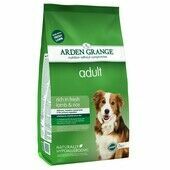 This is the only type of dry food our dog eats and is not scratching or chewing her feet after the meal! 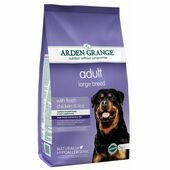 Fast service , quality service , up to date info emails on my product , and my dog loved it , she has sensitive stomach and this has settled it nicely .